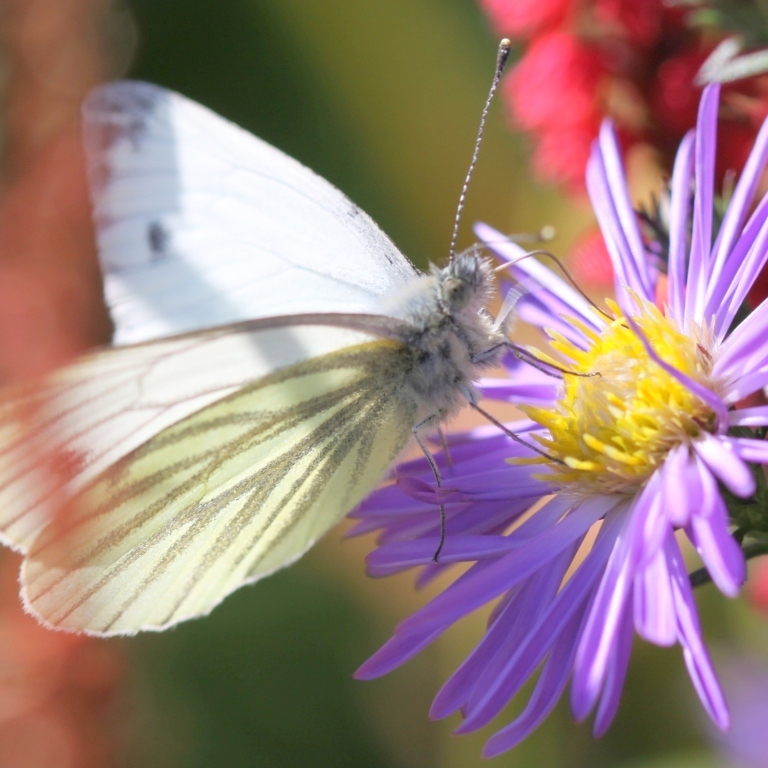 No country garden is complete without Asters… Their common name is Michaelmas Daisies and you can see why. They flower profusely in autumn and are smothered with daisy like flowers. Colours range from pure white, through every shade of blue, lilac, pink and purple. The flower centres are usually bright yellow. Their pollen and nectar attracts beautiful insects such as bees, hover flies and butterflies. Asters are brilliant cottage garden plants. They are perennial, extremely easy to grow, need little maintenance and it’s easy to take cuttings to bulk up a display or give away to friends. At this time of year they are an important food source for many wild creatures. There are many cultivars of Asters. I like the bold clump forming asters. Aster novae-angliae ‘Violetta’ has dark purple flowers and grows to 1.2 metres tall (4 feet) or more. For something slightly more compact I love Aster frickartii ‘Monch’ which grows to about 50-60 cm (18 inches – 2 feet) and has delicate lavender blue flowers. Asters like a sunny position and moist but well drained soil. They associate beautifully with grasses and other late flowering perennials. I’m pulling out my summer bedding plants now and wondering how to fill the empty space. Asters would be perfect. Why didn’t I think of that sooner? So I’m making a note in my garden diary that asters would fill the gaps next year. I already have a few so I’ll take cuttings in April then get a few nice plants going in big pots ready for a good show next autumn. Which is your favourite Aster?